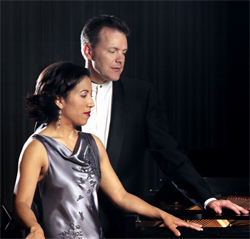 Born in Montreal and Toronto respectively, Canadian pianists Anne Louise-Turgeon and Edward Turgeon have been playing together since 1988, and performing professionally since 1996. Critically acclaimed as one of the top piano duos of our time, the Turgeons have given hundreds of performances, including a European debut at the Concertgebouw of Amsterdam, and a New York debut at Weill Recital Hall, to name a few. Festival appearances include Sanibel Chamber Music, San Francisco International Chamber Music, Montreal International Duo Piano, Duettissimo (Minsk), Novosibirsk International Duo Piano, Festival Miami, New York Summer Music Festival, Austin Chamber Music, Algoma Fall Festival, Chicago International Two Piano Festival, Norfolk Chamber and the World Piano Conference (Serbia), to name a few. The Turgeons appear on seven compact discs, including "New Music for Two Pianos" (Vanguard Classics) "Romantic Dances" and "Latin American Journey" (Marquis). 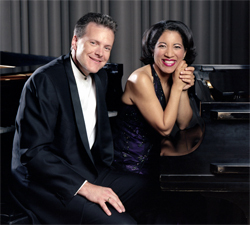 They were featured in the PBS documentary "Two Pianos  One Passion", and they have been heard in numerous broadcasts on classical music stations throughout the world including National Public Radio's "Performance Today", BBC, ABC, WNYC, WPR, MPR, WGBH, Dutch Public Radio, and numerous CBC programs. The Turgeon’s prizes and awards include first prize in the Sixth International Schubert Competition for Piano Duos (Czech Republic, 1995) and first prize in the prestigious Murray Dranoff International Two Piano Competition (Miami, 1997). They received additional special prizes at the Dranoff, including the award for best performance of works for one piano, fourhands, and a special award for best performance of the commissioned work "Chiaroscuro", by John Corigliano. 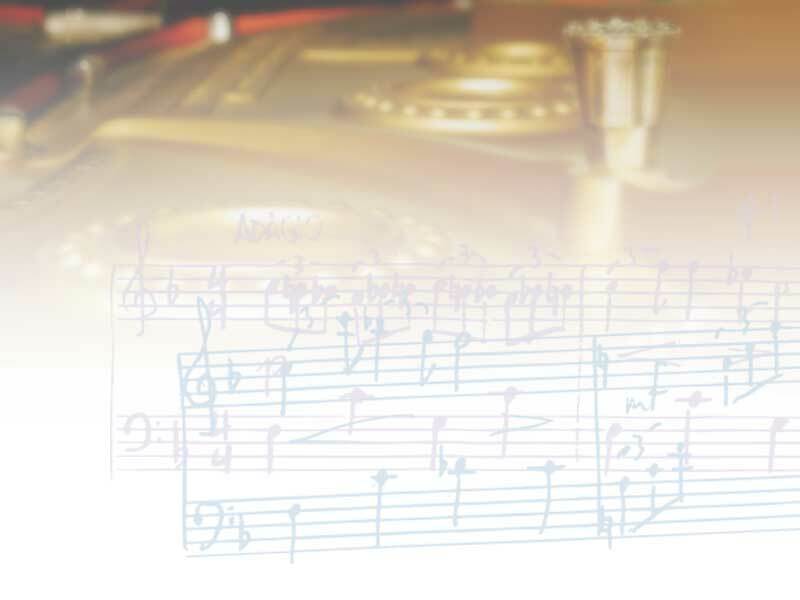 The latter prize included an opportunity to complete a world premiere recording of Chiaroscuro, which American Record Guide described as having "hypnotic intensity". 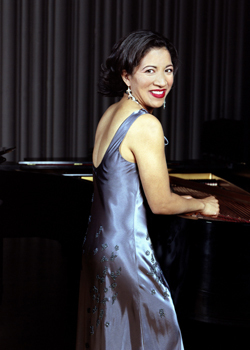 As soloists, the Turgeons took prizes in competitions such as the Canadian Music Competition, the CIBC National Competitive Festival (Canada), the Cleveland International and Sydney International Piano Competitions. Anne Louise-Turgeons awards, prizes and scholarships include the University of Toronto Faculty of Musics highest graduating award, the Eaton Scholarship (1989), and Yale University School of Musics highest honor, the Deans Award for top graduate (1993). In addition she received Yales Charles Miller Award for best recital. She is a recipient of an Ontario Arts Council Chalmers Award for graduate studies with a master teacher, and the Harry Jerome Award for achievement in the arts. Edward Turgeon received the coveted Forsyth Memorial Scholarship from University of Toronto Faculty of Music. At Yale University he received the Catherine Winchell and Phillip Nelson Memorial scholarships, awarded to an outstanding piano performance major, as well as the prize for best chamber ensemble (1993). The Turgeons are graduates of the University of Toronto and Yale University, where they earned doctorate degrees in the year 2000. They received the highest graduating awards and prizes from both institutions. Anne's teachers included Marietta Orlov, Boris Berman, Karl Heinz Kammerling, Marek Jablonski, Claude Frank and John O'Connor. Edward's teachers included James Anagnoson, Peter Frankl,Donald Currier and Claude Frank. Duo Turgeon received duo piano, and one piano,four-hand coaching from James Anagnoson, Karl Ulrich Schnabel and Peter Serkin. The Turgeons have served on the faculties of Algoma University College, Algoma Conservatory, Mount Holyoke College, the HARID Conservatory and Florida Atlantic University. They currently serve as keyboard faculty and ensemble-in-residence at Florida Atlantic Universitys Dorothy F. Schmidt College of Arts and Letters, School of the Arts, in Boca Raton.